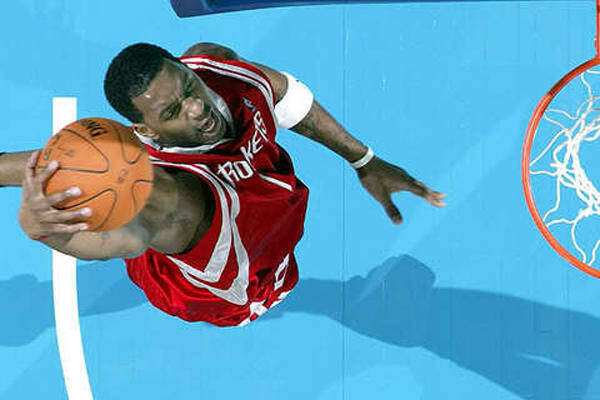 T-Mac was most likely on his way to the Hall of Fame if back and knee injuries didn't rob him of his explosiveness. He could jump out the gym, shoot, pass, play defense and was as clutch as they come. Remember that time he scored 13 points in 35 seconds to beat the Spurs in 2004? He will forever be in our hearts for that performance alone. Most of Tracy's career is filled with "could've beens." If he and Vince stayed together they could've, if Grant Hill's ankle healed right they could've, if Yao's feet held up they could've—you get the point. Those are just some of the reasons McGrady's teams never got out of the first round. We're not going to hold that against him, though. He was fun to watch.